Little is known about human use of Atlantic halibut in North America prior to European contact. Very few halibut bones have been found at archaeological sites in Maine, even where bones of other fish species are plentiful. Halibut may not have been a key species for the native Wabanaki people because, being large bottom-dwelling fish, they were difficult to catch with the technology that existed at the time (Trumble et al. 1993). European explorers, including John Smith, remarked upon the great abundance of halibut in North American waters. However, despite its abundance, halibut was less desirable than other groundfish in both the United States and Canada. Great numbers of halibut were discarded at sea (Goode and Collins 1887, Trumble et al. 1993). Halibut caught by fishermen targeting other, more valuable species such as cod were often either discarded immediately or strung together for the remainder of the trip so that they would not continue to go after the bait (Goode and Collins 1887). Those who did eat halibut often only consumed the higher-fat heads and fins (Grasso 2008). Because of this early history of high discard rates, it is impossible to know just how abundant Atlantic halibut were before they became the target of a commercial fishery. 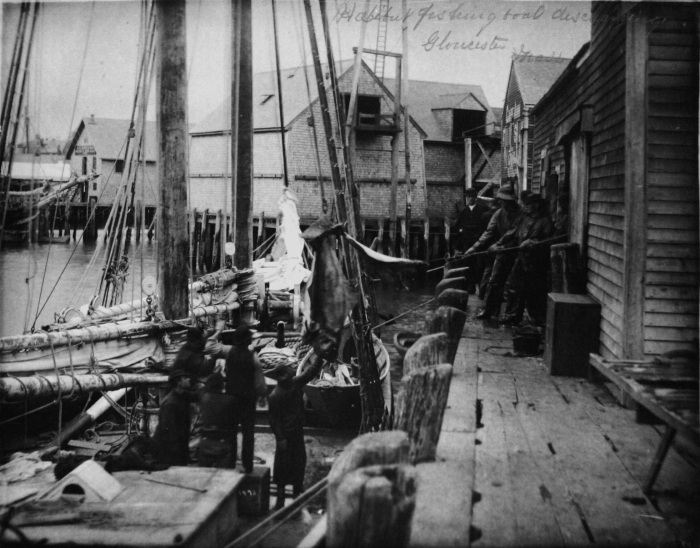 Initial efforts to market fresh, salted, and smoked halibut began in the 1830s in Gloucester, Massachusetts. Because of its thick flesh, halibut is more difficult to preserve with salt than other fish found in the Gulf of Maine. As was true with many other fisheries, the expansion of the railroad in the United States opened new markets and increased the demand for fresh halibut. Rail service from Boston began in 1847. The railroad and increased use of ice for preservation helped to shift cultural preferences away from salted fish, which came to be seen as the food of immigrants and the poor, and toward fresh fish. With increased demand for fresh fish, halibut, which held its quality well when iced, became the target of an intense and profitable fishery (Grasso 2008). 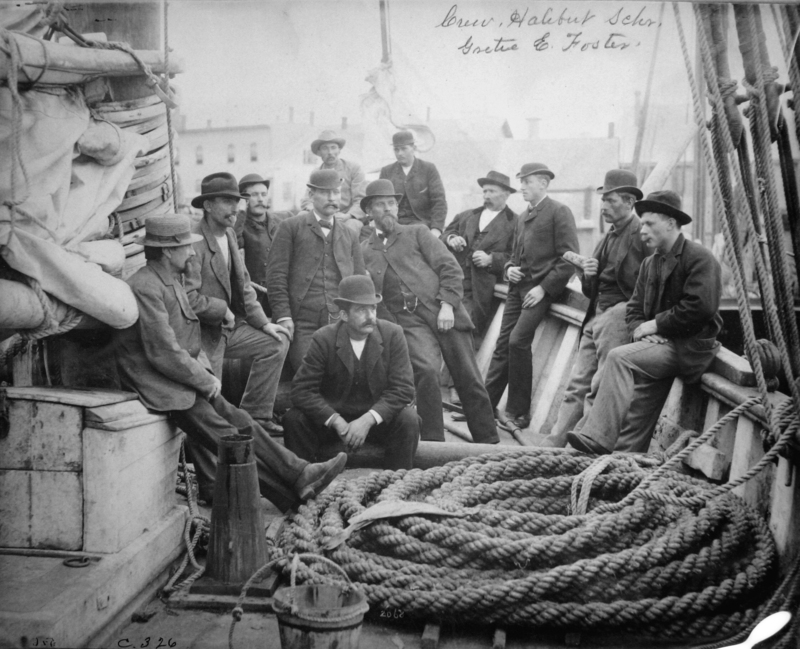 By 1876 large schooners regularly left the ports of Maine, Massachusetts, Rhode Island, and Connecticut loaded with several tons of ice to preserve halibut (De Broca 1876). 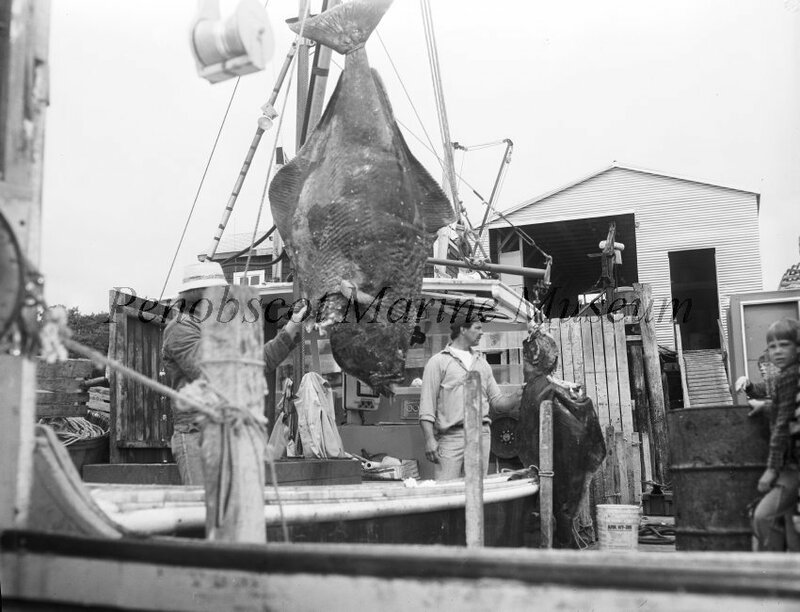 Large quantities of fresh halibut were landed in Gloucester, Boston, and to a lesser extent in Portland. The demand for halibut in the Portland area often could not meet the volume landed; it was not uncommon for many halibut to be discarded at Portland docks (Goode and Collins 1887). Despite its growing popularity in New England, halibut continued to be of low value in most Canadian fish markets until later in the nineteenth century (De Broca 1876, McCracken 1958). Initially, fishermen caught halibut mostly within a few miles of their home ports and occasionally traveled to the closest edges of shallow offshore banks; however, as fishing pressure increased vessels were forced to travel farther distances and fish in deeper water (Goode and Collins 1887). 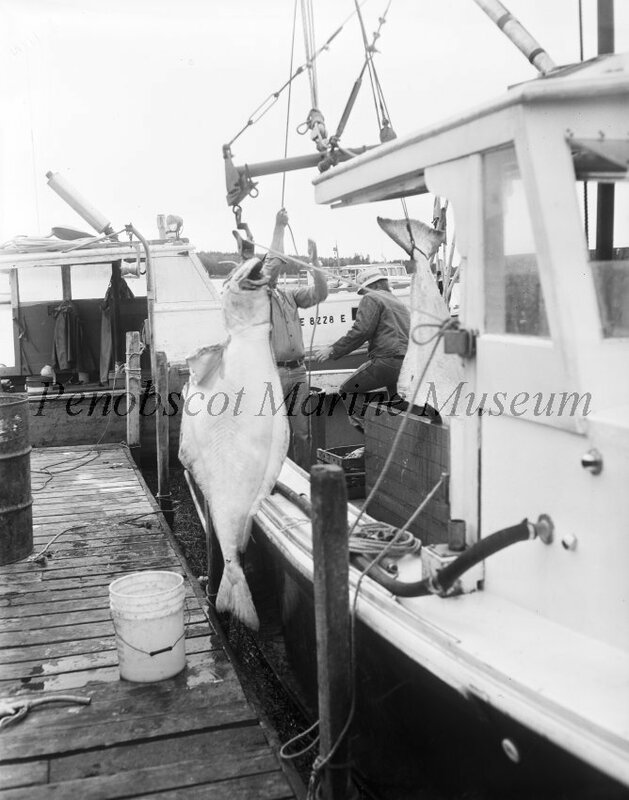 By the early twentieth century, vessels leaving from eastern Maine ports, including Jonesport, Cutler, and Eastport, sought halibut on several shallow banks within thirty to fifty miles of shore. 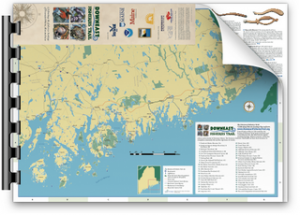 Such fishing grounds included Grand Manan Bank, Marblehead Bank, German Bank, Jeffrey’s Bank, and Platt’s Bank, among others (Rich 1929). In some areas, fishermen noted a decline in halibut abundance after little more than a decade of targeted commercial fishing (Goode and Collins 1887, Grasso 2008). Halibut migrate close to shore in the spring and early summer and move offshore by the fall (Collette and Klein-MacPhee 2002, Scott and Scott 1988). As inshore abundances decreased, fishermen began to move farther offshore. By 1885 captures of halibut close to the shores of Maine and Massachusetts were so rare that they became newsworthy occurrences (Goode 1885). The major halibut fishing grounds listed by Matthews in 1927 were all offshore areas, including the Flemish Cap, the Grand Banks, the southern edge of Green Bank, and “the Gulley” between Banquereau Bank and Sable Island (Matthews 1927). Fishermen caught halibut with a single hook and line until the mid-nineteenth century when tub trawls largely replaced hand lines. A tub trawl consists of a long line with several baited hooks spread out along its length. The line sits on the bottom and is attached at either end to buoys which float at the surface. Nineteenth-century halibut tub trawls could be longer than two miles and often held several hundred hooks each, typically baited with herring, mackerel, and menhaden, and occasionally with cod, haddock, or hake. Tub trawls were most often deployed from dories, which were frequently carried out to distant fishing grounds on large schooners. These schooners had to be quite sturdy in order to travel to distant, deep- water fishing grounds and to withstand the occasional gales. Averaging about 75-80 tons, these vessels were outfitted with multiple anchors, several tons of ice, and multiple dories. A single schooner commonly carried six dories and each dory usually held three to four tub trawls. This transition in fishing methods and gear allowed fishermen to catch halibut much more efficiently and thus catches dramatically increased (Goode and Collins 1887). 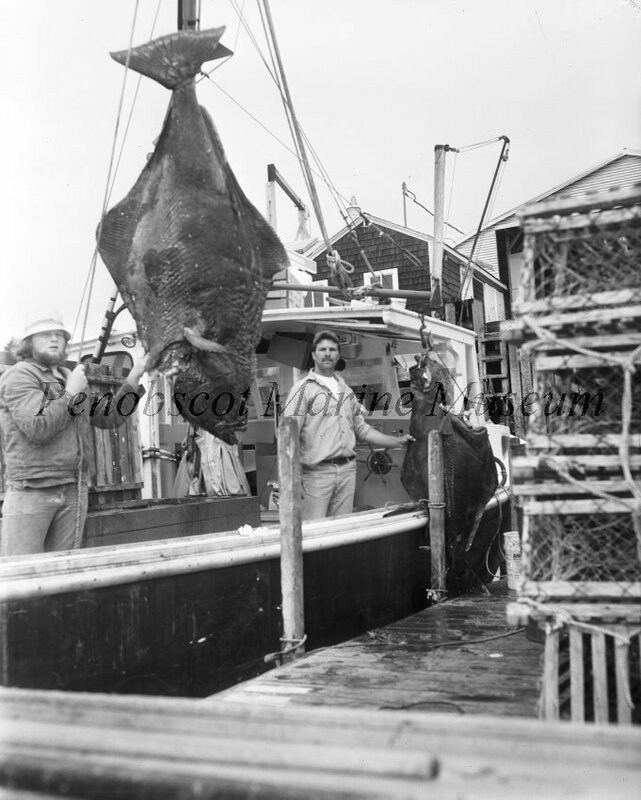 In the twentieth century some bottom trawling for halibut occurred (McCracken 1958, Neilson and Bowering 1989) and many halibut were caught as bycatch in bottom trawls targeting other groundfish. However, bottom trawling is generally considered an inefficient method of capturing large halibut (Trumble et al. 1993) as they are able to out-swim the nets. 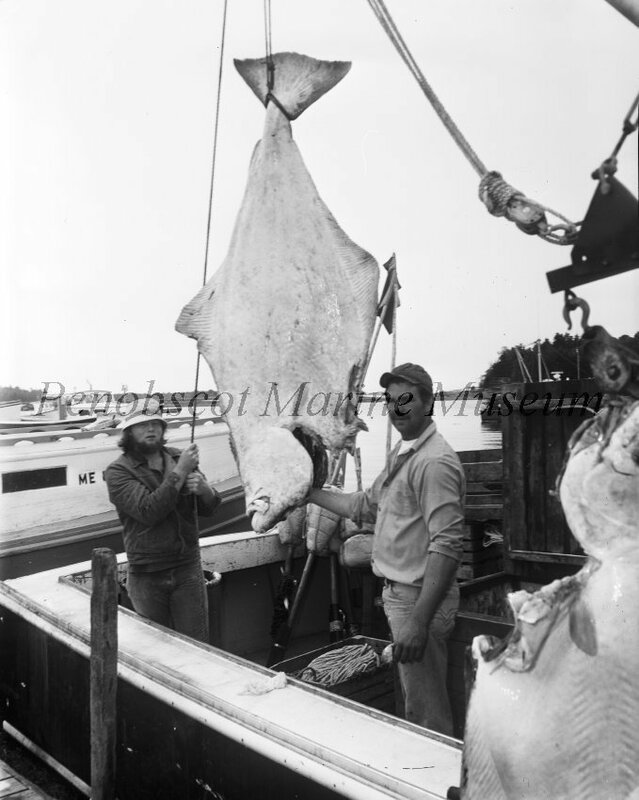 After more than a century of relatively intense fishing pressure, the first regulations on the Atlantic halibut fishery in the Gulf of Maine went into place in the late 1980s. Increases in catch efficiency brought about by the adoption of the circle hook in the 1980s provided an impetus for regulating the fishery in Canada (Neilson et al. 1987). The United States followed Canada’s lead in the 1990s. Atlantic halibut was added to the U.S. federal Northeast Multispecies Fishery Management Plan in 1999. 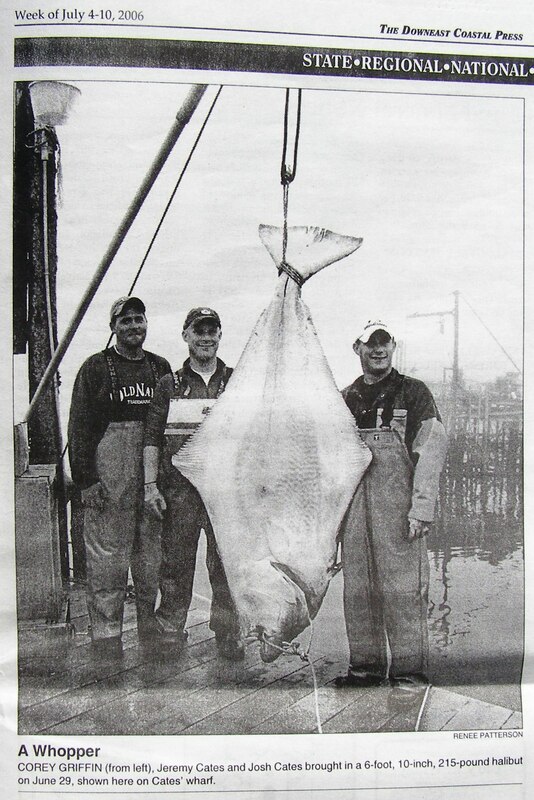 At this time a minimum size and a limit of one halibut landed per trip was implemented for U.S. federal waters (New England Fisheries Management Council 1998). Although the Atlantic halibut fishery is virtually non-existent because of the one halibut per trip limit, a small state fishery, largely based out of eastern Maine, persists. Fishermen targeting halibut in Maine state waters are required to use circle hooks and may land only 25 halibut per year. Most halibut fishermen in Maine regard the fishery as a small supplement to the other fisheries they participate in and enjoy the excitement of being able to catch fish with hooks. Goode, G.B. 1885. A brief biography of the halibut. The American Naturalist 19(10):953-969. Grasso, G.M. 2008. What appeared limitless plenty: the rise and fall of the nineteenth-century Atlantic halibut fishery. Environmental History 13(1):66-91. Matthews, J.H. 1927. Fisheries of the North Atlantic. Economic Geography 3(1):1-22. McCracken, F.D. 1958. On the biology and fishery of the Canadian Atlantic halibut, Hippoglossus hippoglossus L. Journal of the Fisheries Research Board of Canada 15(6):1269-1311. Neilson, J.D., K.G. Waiwood, and S.J. Smith. 1989. Survival of Atlantic halibut (Hippoglossus hippoglossus) caught by longline and otter trawl gear. Canadian Journal of Fisheries and Aquatic Sciences 46:887-897. 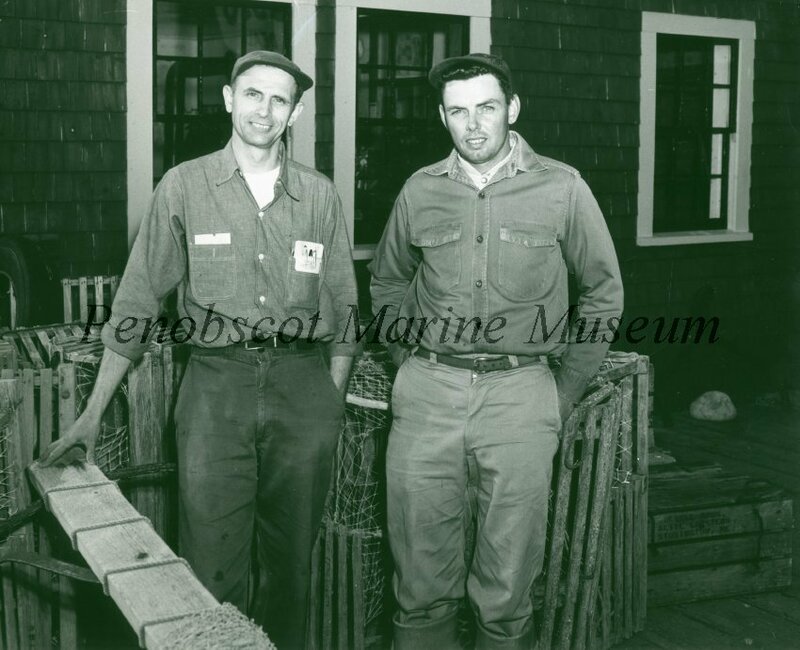 New England Fisheries Management Council. 1998. 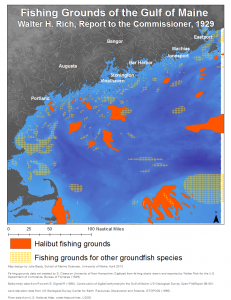 Amendment 9 to the Northeast Multispecies (Groundfish) Fishery Management Plan incorporating an Environmental Assessment and Regulatory Impact Review, Volume I. Saugus, MA. Rich, W.H. 1929. 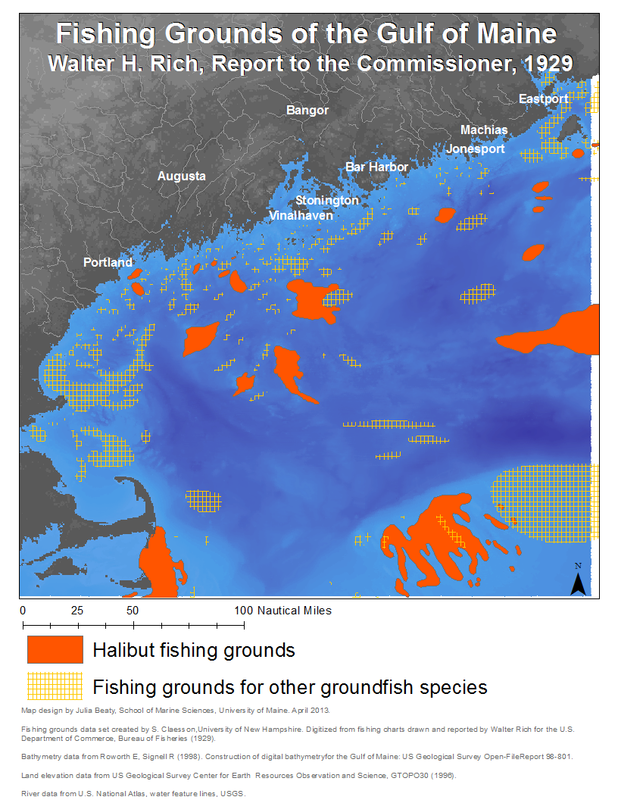 Fishing Grounds of the Gulf of Maine, in Report of the United States Commissioner of Fisheries, U.S. Department of Commerce, Bureau of Fisheries (reprint). West Boothbay Harbor, ME: Maine Department of Marine Resources. Scott, W.B., and M.G. Scott. 1988. Atlantic fishes of Canada. Canadian Bulletin of Fisheries and Aquatic Sciences 219: 731 pp. Trumble, R.J., J.D. Neilson, W.R. Bowering, and D.A. McCaughran. 1993. Atlantic halibut (Hippoglossus hippoglossus) and Pacific halibut (Hippoglossus stenolepis) and their North American fisheries. Canadian Bulletin of Fisheries and Aquatic Sciences 227: 84 pp.